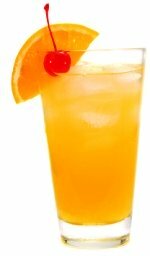 The first time I met Harvey Wallbanger was at a cocktail party at a friend's house many, many years ago - long before I was a restaurant owner and long before I knew much about alcohol. The hostess was a little older than I and knew a great deal about "in" drinks. She was making "Wallbangers" for everyone. I remember thinking that it was a strange name for a drink. So I asked the hostess where the name came from. 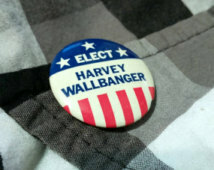 "Who was Harvey Wallbanger?" Little did I realize then that I would be able to guess at least where part of the name came from after I had my second cocktail. I was told that Harvey was a California surfer in the 1950's and had lost a big surfing contest and had gone to a bar afterwards to drown his sorrows. The bar was owned by the world famous mixologist "Duke" Antone who also created the famous Rusty Nail. Harvey ordered a special screwdriver, one with Galliano added. 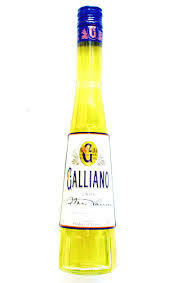 Galliano is a vanilla flavored Italian liqueur, yellow in color. The "Duke" mixed him a drink, then another and apparently another. When Harvey got up to leave he was somewhat beyond "tipsy." He banged into a wall. That was the birth of the cocktail recipe now named a "Wallbanger." 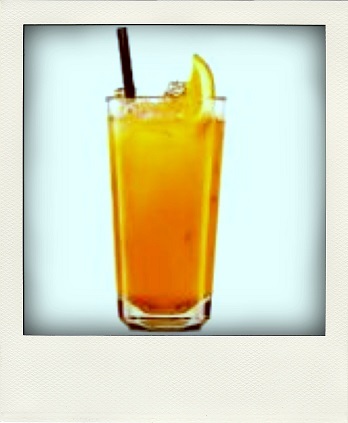 Enjoy your "Wallbanger" recipe and the company of those you share it with! Be careful, though. You don't want to be blessed with this name! Did you know? Soon after the "Wallbanger" was "invented," Harvey acquired a relative named "Freddy Fudpucker." 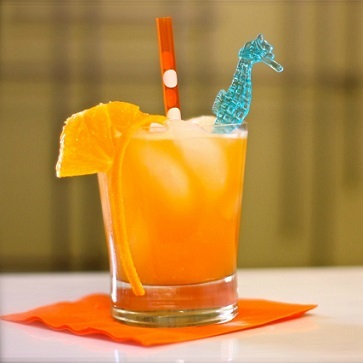 Freddy is a cocktail made the same way only using tequila instead of vodka.